Psalm 23:4 - Even though I walk through the darkest valley, I fear no evil; for you are with me; your rod and your staff - they comfort me. (Today's NIV) David said this and... These situations are still with us, and they arrive in different forms, a job, a business, a relationship, or marriage. Life is not always easy. Sometimes we experience terrible episodes, times of deep despair and excruciating pain. These can be occasions when we don't think we can endure one more moment of agony. For some of us, this is our darkest valley. 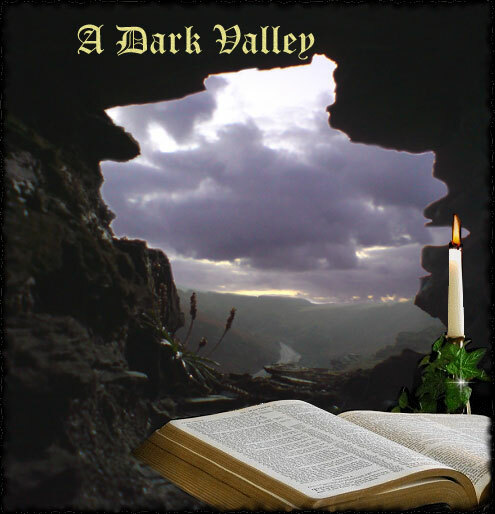 When in those low and desperate moments and there seems to be no way out of the dark, dark valley…It is in these darkest moments that we can say "I fear no evil; for you are with me" knowing that God will come to our rescue. It is true that life is not always easy. It is, however; equally true that even in our worst moments we have nothing at all to fear because the Lord is with us. All through the Bible the words "do not fear" and "I am with you" appear again and again in one form or another..... Watch for them! Let them control your whole being; body, mind and spirit. They are truly our rod and our staff.